Anti-Microbial Protection helps keep you, your dorm bedding, and your Twin XL mattress fresh and clean! When you go away to college, your mom and dad can no longer tell you to get out of bed. Having the freedom to sleep in is one of the best things about living in a college dorm room. There's only one catch! If you want to sleep in every morning in your dorm room, you're going to need an extra comfy bed. Let's be honest, university provided dorm room beds usually aren't as comfortable as it gets. Luckily, your dorm room bed can go from hard to comfy with our Restful Sleep - Twin XL Down Alternative Fiber Bed. Our twin extra long topper is the easiest way to make your dorm bed your favorite place to be in your dorm room. Keep our topper under your twin xl sheets and you'll be ready to have a great sleep on a soft dorm room bed. Nothing's worse than getting to your dorm room, laying on your twin xl bed, and realizing how hard and uncomfortable it is! Complete you college bedding supplies with our Restful Sleep - Twin XL Down Alternative Fiber Bed, and sleep in as much as you want. 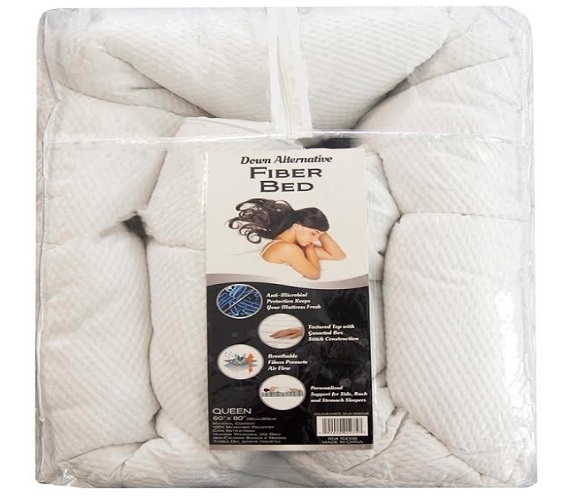 Dorm bed body pillows and comfy twin extra long comforters will make your bed easier to sleep in, but without our Twin XL Fiberbed, your sleep just won't be the same. Every college student loves to sleep, and every college student loves to sleep in. 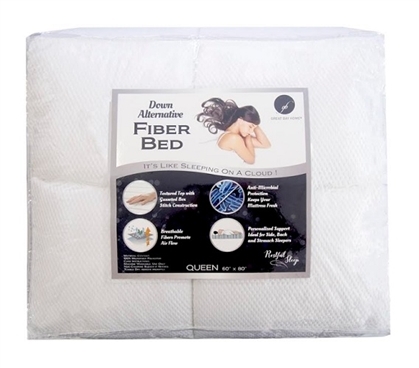 That's why our Fiberbed dorm topper is a bedding supply must-have for college students.